Rome (NEV), April 6, 2019 – Gabriela Lio is the new president of the Federation of Protestant Women in Italy (FDEI), elected by the XII Congress meeting in Rome from 29 to 31 March last. 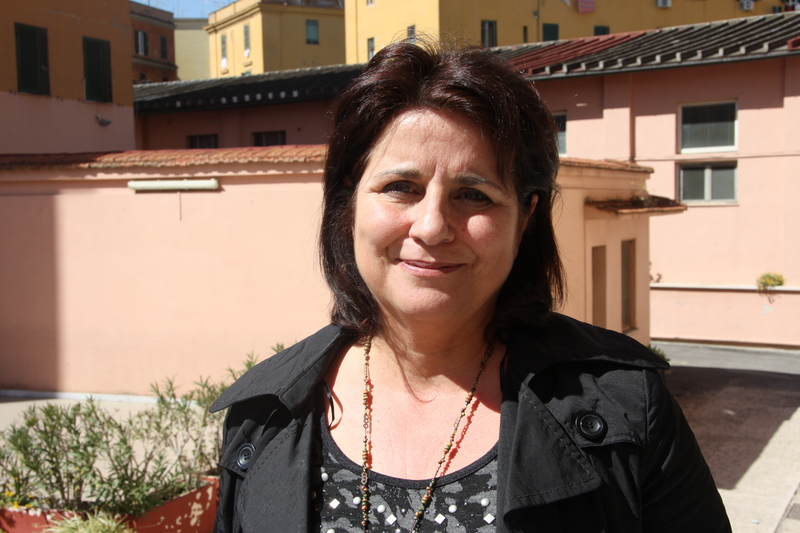 Lio is a Baptist pastor and has been, among her various assignments, the director of the Baptist Evangelical Center of Rocca di Papa (Rome). “We met in San Lorenzo, near the place where the sixteen-year-old Desirée Mariottini, was raped and killed, on October 18, 2018 – the new president told the NEV agency -.We went there on foot and brought a bunch of flowers. We had a moment of prayer together. It seemed significant to begin our congress this way, we could not fail to remember”. The Congress approved – continued President Lio -, among the most significant motions, the strengthening, with greater continuity, of the work done so far. To this end, an article of the FDEI Statute has been modified with the addition of a sentence which represents the synthesis of the commitment for women through “the production of both information and training materials, and with concrete actions to promote a debate on the origin of violence also in the evangelical churches”. The areas in which FDEI intends to build its commitment are inclusion, observance of the laws in force (i.e: the law 194 on the voluntary termination of pregnancy) and of the Istanbul Convention of 2013, parenthood support, education to affectivity. All this by asking for a greater involvement of the churches in order to address these issues also from the male point of view. A very important aspect underlined by Lio concerns the commitment to work ecumenically and with other existing associations. The Congress brought together almost a hundred women from all over Italy, with different cultural backgrounds: a plurality of voices and presences, including those of migrant women. The FDEI also intends to work with other minorities determined by the current political situation, such as the women of Islam. The outgoing president, the Adventist Dora Bognandi, said: “I wish the new president all the best for her new task. We needed a pastoral figure to talk to our churches. The FDEI intends to work “for” and not “against”, even in dealing with important and divisive issues. The faith that unites us will help us making the most of our work in society”.